When religion becomes ‘business’ and a few hold the strings in their hands, divinity brings about a sweeping change through the birth of a special person who will set the world right. This is the promise of the Bhagwad Geeta. In this feature, there are many such special persons, whose personality and teachings brought unimaginable changes to Indian society from the 12th century onwards to the present time. Many supremely-blessed men and women, belonging to various strata of society, rich and well-to-do or working in lowly professions and considered low caste people, have found great inspiration and divine grace in the personality of a history-changer who infused new power, faith and joy into the lives of all sufferers of social discrimination…The ‘Bhakti’ Movement of Maharashtra’ starting with the illuminating work of Sant Dnyaneshwar (1275-1296) – especially the holy Dnyaneshari – changed the very basic culture and story of Maharashtra. There was a new, vibrating energy, a new hope for the future and a new dream of equality among the millions…In the same way, the work of Purandaradasa, the poet at the court of Krishnadevaraya of Vijayanagar, inspired millions in peninsular India. Chaturmas or the four holy months of the Indian calendar are those that bring the welcome showers of the Monsoon to a summer-parched land. With the rains, so essential for the agriculture of India, come vast green fields and plenty of fruits, vegetables and food grains. The period of these months is called Chaturmas or four holy months which traditionally begin with the 11th day of the month of Ashadh and end with the 11th day of Kartik. The Ashadh Ekadashi or the starting day of the four holy months is called Devashayani Ekadashi because having provided the rains and thus created plenitude to the farms, orchards. 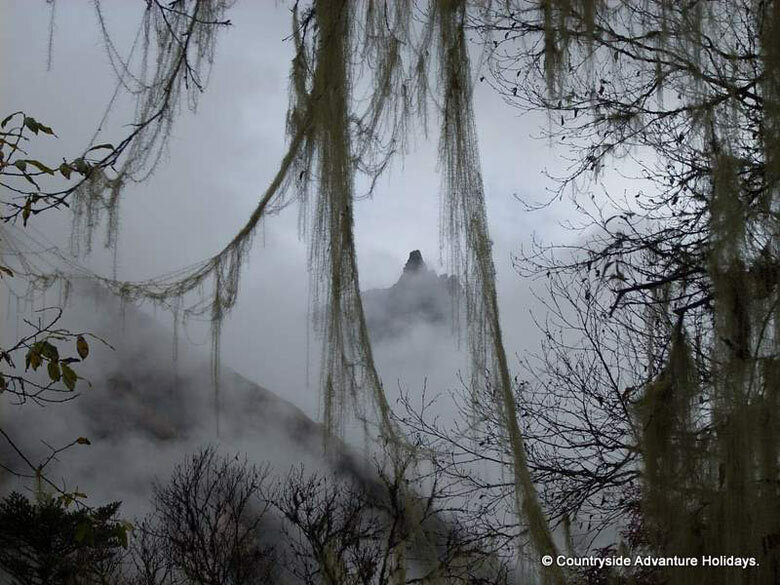 Forests and plantations, the gods go to rest. In many temples and sculptures, Lord Vishnu, the preserver of the universe, is seen peacefully sleeping. On Kartik Ekadashi, which is called Prabodhini Ekadashi, the gods wake up and all devotees thank and welcome them with great celebrations at temples. Many fast during these four months on chosen days and finally walk from their home towns to Pandharpur to be there on the Ekadashi day and to bathe in the Chandrbhaga River in Pandharpur. These devotees are called Varkaris and they are seen carrying the Tulsi planter on their heads as they walk to the temple. Tulsi is considered a holy plant and is used in the worship of Lord Vishnu and Krishna in all sacraments. Similarly people crowd at the Vithala temple in the Hampi heritage site in Karnataka to offer worship to Vithala there too. The Hampi temple of Vithala is associated with Purandaradasa, the court poet of the Vijayanagar empire and he is a wonderful part of the Bhakti Movement of India. The temple also has a wonderful architectural detail. Every carved and decorated pillar in this temple when knocked produces musical notes which are delightful. Purandaradasa heads the Bhakti Movement of Karnataka, a neighbor of the state of Maharashtra. The social importance of these annual celebrations at the temples increases manifold when we learn that they have been a wonderful part of the great, sweeping Bhakti Movement of not only Maharashtra and Karnataka but the whole of India in various forms. India, in the medieval ages, had a strict caste system where the Brahmins or the members of the higher caste were educated and held great power and perhaps most of the wealth of the nation. They used their power to demean the lower caste people who were often not allowed into temples or to touch rivers or water sources to ‘contaminate’ them. The time had come for a sweeping change and it came in the form of saints – both men and women – who not only preached a religion of love and joy but also wrote beautiful songs, books, paintings and built temples which were open to all. Each state of India produced geniuses whose work – writings and songs as well as stories – are an inspiration to India as also the whole world. Just to give a quick count, there was Chaitanya Mahaprabhu in Bengal, Jayadeva in Orissa, Meerabai in Rajasthan, Tulsidas and Kabir in Uttar Pradesh, Narsinh Mehta in Gujarat and innumerable others in the Southern states, who taught the simple religion of love and kindness to millions of people who were waiting for a monumental change in society. All these saints and poets left behind a huge literary heritage for India. The difference was that in the northern states like Rajasthan, Orissa and some others, the relationship of god and man was promoted as that of lovers who expect nothing from each other. Theirs was an unconditional total surrender love. The most prominent example of this movement is the work of Jayadeva, a poet who is known worldwide for writing the Geet Govind, an immortal work of literary art which has inspired miniature paintings and dance ballet performances all over the world. The Odissi style of dancing is almost entirely based on this literary work. The ‘Ashta Nayika’ theme of Indian dance which has been extensively used in the Geet Govind, was created by the great writer of the Natyashastra, Bharata, who depicted the eight moods of love of a maiden depicted in all arts. Indian painting, literature, poetry, music and sculpture used this theme copiously. Jayadeva’s Geeta Covina,, converted the eight heroines (or Ashta Nayikas) into one entity, showing the Nayika as Radha, the lover of Lord Krishna, who displays these moods for her beloved. Geet Govind describes the love of Radha for Krishna and presented them as lovers. Jayadeva used the ‘Ashta Nayikas’ theme to suit his narrative. He also wrote explicitly about the love of Radha and Krishna – which showed that the lovers in essence are only one: That the love of god and devotee is complete surrender, no expectations and joy. The names of the Ashtanayikas are also indicative of the content of this great poem written in the 12th century. The names of the heroines are: Khandita, Vipralabdha, Vasakasajja, Abhisarika, Proshitabhartruka, Swadhinapatika, Kalahantarita, and Virahotkanthita. These moods of a woman have been used extensively in many artistic works of the medieval age. However, the Bhakti Movement – called “Madhurabhakti’ – then moved to Peninsular India and changed dramatically as it spread in South India. Here, Vaishnav saints like Vallabhacharya saw in Krishna a glorious child-like personality. It is said that he started a totally new way of looking at Krishna for those who followed Vaishnavism. One of the great temples built by him is the beautiful marvel in Nathdwara, on the border of Rajasthan and Gujatat. There is a beautiful story of how Shrinathji came to this town from his abode in Gokul and became the darling of millions. Andal, the only woman saint in the Tamilian Alwar heritage, ‘married’ Krishna and wrote beautiful songs about him. The south produced a new idea in the Bhakti Movement. Here in all temples, Krishna – in his form as Vithala – and Vishnu in his incarnations, were the ‘worshipped’ and their devotees accepted him as the ‘mother’ with the qualities of love, forgiveness, understanding and grace. So the poet saints who headed the Bhakti Movement looked upon Vithala as a mother and addressed him as Maai or Aai in the Marathi language. 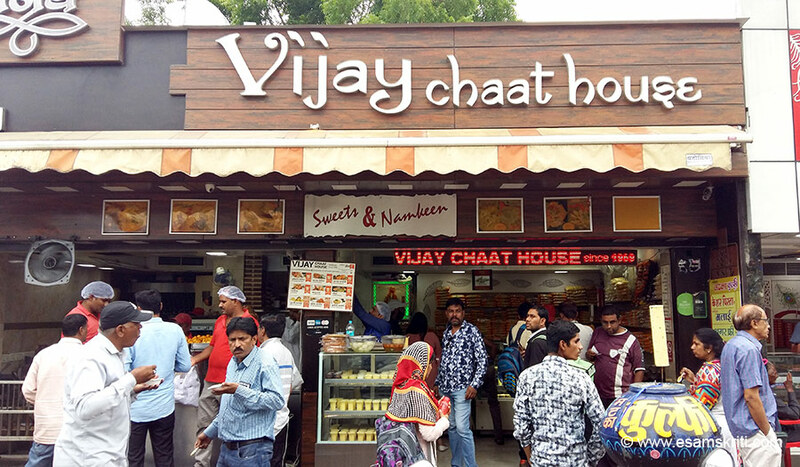 Vithala became Krishnai or Vithai Mauli – where all words mean Mother. Most songs written by a galaxy of saint poets in these centuries are in Marathi and are simple like letters written to a mother by her child. These songs are called Abhangs and have been sung by great vocalists like Bhimsen Joshi and Sanjeev Abhyankar among others... To a large extent, the strata of society that accepted this path of Bhakti were from the non-Brahmin classes. They were potters, tanners, housewives, farmers, tailors, clerks, grocers, gardeners and came from a plethora of castes and communities. To them, Vithala, Vithu or Vithoba was a deity to be adored and praised without any demand, simply for love. These poets too, wrote and left behind a treasure of songs of praise called Abhangs. Indeed the entire movement, which began with the work of Sant Dnyaneshwar and his siblings Nivrutti, Sopan and Mukta. 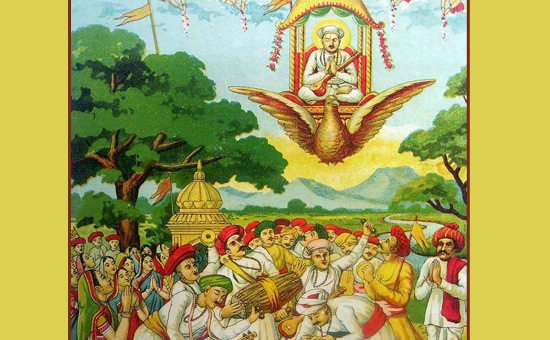 By writing the most important work of his life – namely the Dnyaneshwari, a transliteration of the Bhagwad Geeta – Dnyaneshwar, at a very young age, gave Maharashtra a wonderful new life. 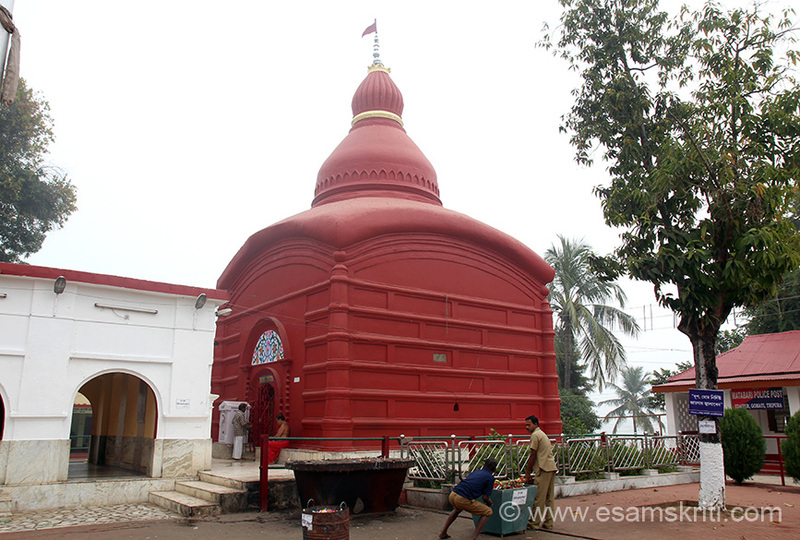 A saying in Marathi says that “Dnyaneshwar put the foundation of the temple of Bhakti and Tukaram, some centuries later, became the Kalash, Shikhar or the spire of the temple! In Tamil Nadu, Karnataka, Kerala and Andhra too, saints of all languages wrote a huge number of songs in praise of Krishna and other deities. Tukaram’s Gatha, Dnyaneshwar’s other tomes like Amritanubhav, Changdev Pasashti, Haripath etc are like bibles of the Bhakti Movement. An interesting story about Vithala of Pandharpur is that the Lord had a devotee named Pundalik. His love and dedication to Vithala was total. On one occasion, when he was looking after his aged sick parents, Vithala himself came to see him. But Pundalik threw a brick for him to stand on and wait for him to be free. Vithala never went back. He still waits, arms akimbo – on that brick. 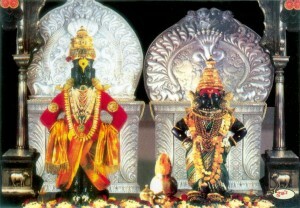 The idol of Vithala is unique in this way. Another interesting story is of Kanakadasa, a devotee from Udipi, Karnataka, Udipi is famous for its Krishna temple and is visited by huge crowds year round. Kanakadasa was of a low caste and was therefore not allowed entry to the temple for a Darshan. The idol of Krishna, it is said, turned around and faced the little window in the wall to face Kanakadasa as he gazed in wonder at his beloved deity. Even today, that tiny window is called ‘Kanakana Kindi’ in Kannada. The Bhakti Movement thus united India in the magic spell of these stories and the love songs that brought God to everyone. The devotional content of the songs was full of love and adoration and brought joy to millions. All the saints wrote great works of Bhakti literature and created immortal compositions which are sung in most homes even today by folk singers as well as famous classical vocalists. Millions of followers of this movement travel to Pandharpur each Chaturmas to see their beloved Vithala and to worship his consort Rukhmai. 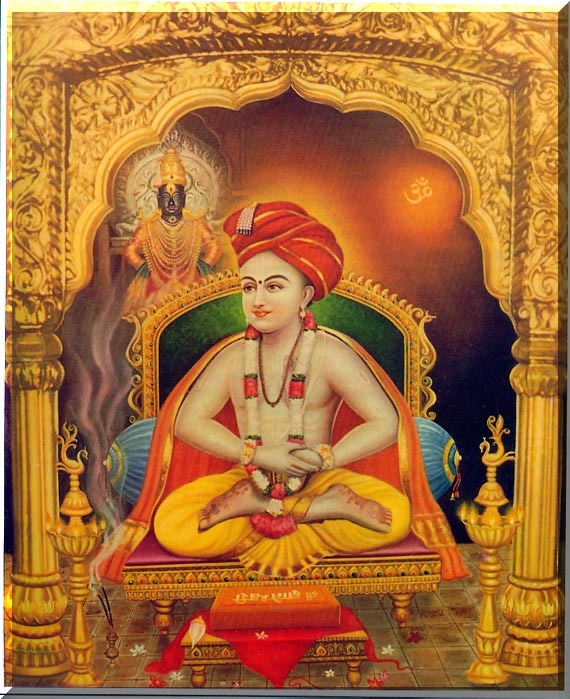 The Samadhi of Dnyaneshwar stands in Alandi near Pune whereas that of Tukaram is in Dehu nearby. 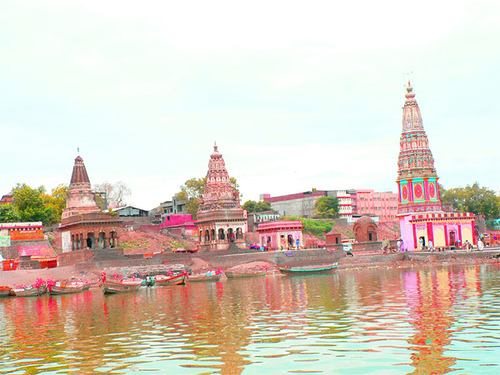 The temple where this historic movement began stands in Pandharpur, in the Sholapur District of Maharashtra. Shri Uddhav Thackeray has created a beautiful book of photographs taken by him in the Varkari processions and the huge crowds of devotees who go to Pandharpur, walking through villages and forests. 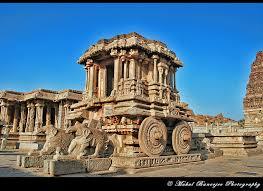 Purandaradas’s Vithala temple stands in the Hampi-Vijayanagar heritage site in Karnataka.